A massive explosion has rocked a Pemex gas pipeline in the Mexican state of Veracruz, killing one and injuring several people. 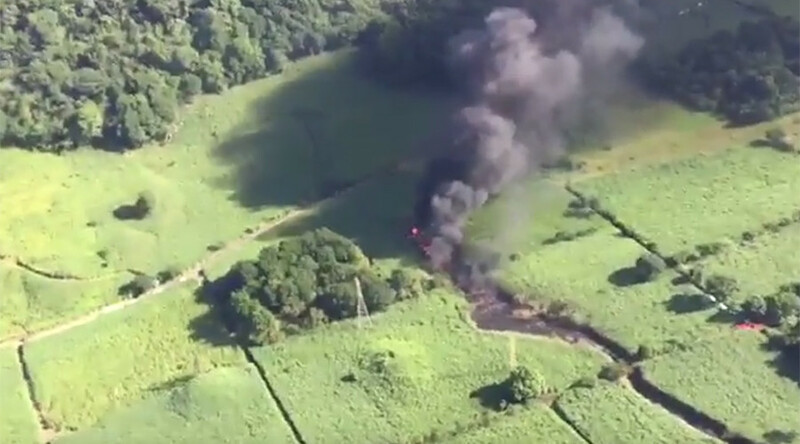 The explosion, which was caused by an attempt by locals to steal gas from the pipeline, occurred early on Saturday, near the city of Ixtaczoquitlán in the state of Veracruz, Cronica website reported. The Veracruz Secretariat of Civil Protection confirmed on Twitter that one person died and five others were injured in the incident. Se confirma 5 heridos por quemaduras (en atención médica) y 1 fallecido. Incendio controlado. Those wounded suffered burns of up to 65 percent of their bodies, according to Milenio website. There was a pregnant 15-year-old girl and men aged 20, 25, 36 and 65, among the wounded. The fuel passage valves have been closed, with emergency services and Pemex personnel working on site. According to the Pemex annual report from 2016, illegal tapping at its pipelines has soared by 868 percent over the last decade. In 2017, the company already recorded over 3,400 tappings, which is a 57-percent increase, compared to the same period last year. Pemex (Petroleos Mexicanos) is an oil and gas company owned by the Mexican government.